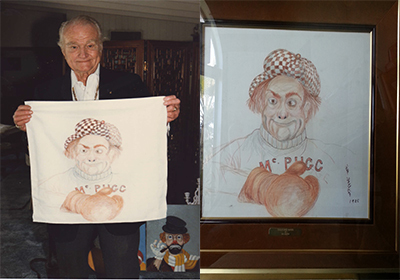 "Cauliflower McPugg" is a unique, original, one-of-a-kind drawing on linen, hand signed by the artist Red Skelton. This special work of art was drawn by Mr. Skelton on an airline linen. The linen size is 16" X 16" and the work of art is beautifully custom framed. ".